These are gorgeous embroidered lace shoes from the late 1960's or early 1970's and back in style. 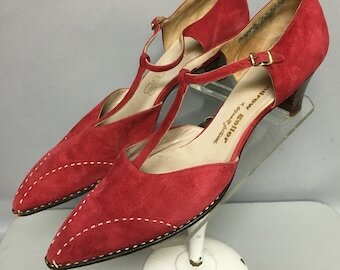 They have never been worn, new/old deadstock vintage by designer "Cosmopolitans." 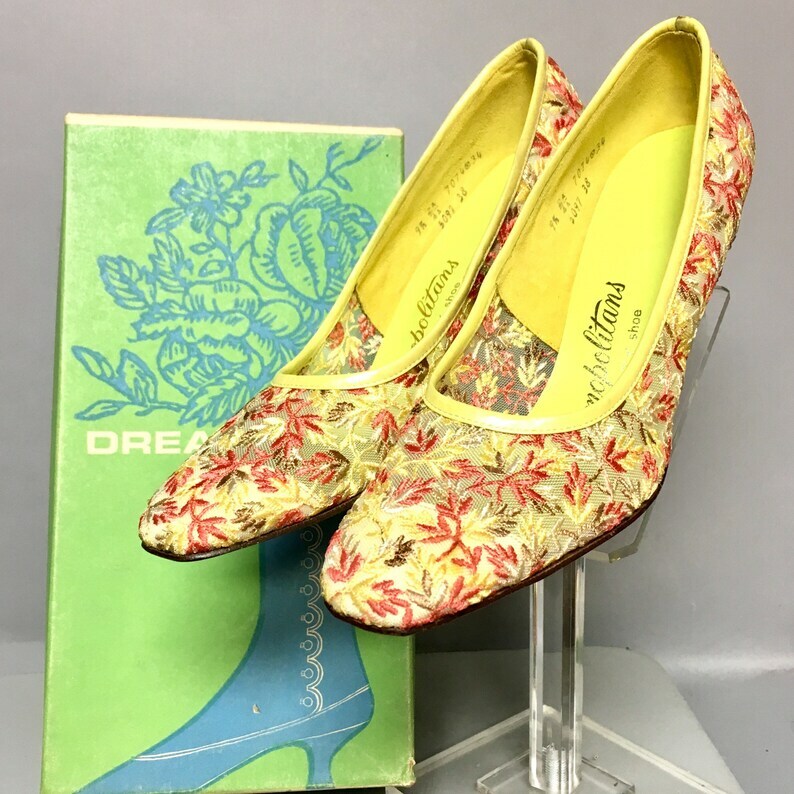 They will come in a vintage period shoe box, but it is not the original one. They measure 10 3/4" along the inside from the tip of the toe to the back of the heel and have 3 1/8" across the ball of the foot measuring the leather outer sole. 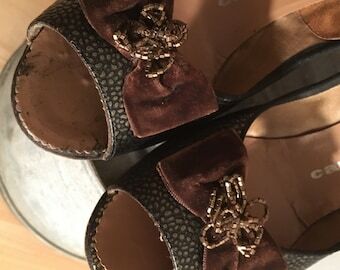 The heels have good plastic taps and are 2 1/2" in height. They are a size 9 1/2 AA/AAAA.